You’re reading novel The Demonic King Chases His Wife: The Rebellious Good-for-Nothing Miss Chapter 734 online at LightNovelFree.com. Please use the follow button to get notification about the latest chapter next time when you visit LightNovelFree.com. Use F11 button to read novel in full-screen(PC only). Drop by anytime you want to read free – fast – latest novel. It’s great if you could leave a comment, share your opinion about the new chapters, new novel with others on the internet. We’ll do our best to bring you the finest, latest novel everyday. Enjoy! But the problem was, she had already pa.s.sed two rounds in a row! If she pa.s.sed another round, then she would be Grandmaster Rong Yun’s disciple! If Su Luo was truly accepted as Grandmaster Rong Yun’s disciple. At that time, even if Su Luo did not ask for favors from Grandmaster Rong Yun, the entire continent still would look upon Su Manor as very important. Grandmaster Rong Yun only needed to say the word, then Su Manor could immediately reach the heavens in one step. Even the Jade Lake’s Li family must also give Su Manor face. As a result, Su Zian carried the heavy pressure by the Jade Lake’s Li family. He wholeheartedly shouldered the pressure, waiting for the results of the disciple selection before making a decision. No matter how extremely forceful Li Yaoxiang’s side pressured him, Su Zian continued to bear it, even though he was on the verge of collapse from it. It was merely that he wasn’t sure if he could hold out until the end. From others’ perspective, ten days’ time would pa.s.s in an instant. However, from Su Zian’s perspective, a day dragged on like a year. Enduring and enduring, finally, Su Zian endured to the last round of the match. Su Zian sucked in a deep breath of air: Su Luo ah, Su Luo. This time, everything will depend on you, if you cannot win the third round, you can just get out of Su Manor! This time, everyone did not a.s.semble in the throne room. Instead, they came to the Demon Cave, a distance of a day’s travel from the imperial capital. At this time, besides Grandmaster Rong Yun, Su Luo and Li Yaoyao, there were many others who were here to watch the spectacle. For example, Su Manor and Liu Manor…..every aristocratic and wealthy family from the Imperial Capital had sent representatives to watch. The entire scene was bustling and very lively. Places with many people would definitely have a lot of spirited discussions. When Beichen Ying’s trio heard these people’s words, they rolled up their sleeves and were about to beat them up. What do you mean by Li Yaoyao going easy on Su Luo? Motherf.u.c.ker, Li Yaoyao wished she could actually throw Su Luo far away. Why would she go easy on Su Luo? They didn’t know how hard Su Luo had to prepare for this exam, but Beichen Ying and the others were there to see it all. “Sister-in-law!” Exclaimed Beichen Ying, unable to accept it. “After the results come out, at that time, they would be slapping their own faces with ‘pow, pow’ sounds. That would be more pleasurable.” Su Luo unconcernedly said. Beichen Ying thought a bit and felt that this way was also good. Seeing them slap their own faces was truly more pleasurable. These three extremely handsome youths fiercely glared at that group of gossiping people. They obediently stood behind Su Luo in a half-circle. “Fire Source Stone?” Everyone’s face had a huge question mark. The price of a Fire Source Stone was very high, but since the Jade Lake’s Li family could even take out purple-colored crystal stones, how hard could it be to get a Fire Source Stone? What if somebody was to cheat? The mark was his unique spiritual signature, so even an expert stronger than him could only erase the mark, but could not subst.i.tute an fake unmarked one for the real one. 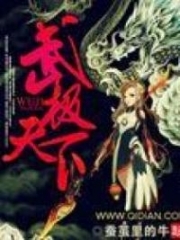 You're reading novel The Demonic King Chases His Wife: The Rebellious Good-for-Nothing Miss Chapter 734 online at LightNovelFree.com. You can use the follow function to bookmark your favorite novel ( Only for registered users ). If you find any errors ( broken links, can't load photos, etc.. ), Please let us know so we can fix it as soon as possible. And when you start a conversation or debate about a certain topic with other people, please do not offend them just because you don't like their opinions. You're reading The Demonic King Chases His Wife: The Rebellious Good-for-Nothing Miss Chapter 734. This novel has been translated by Updating. Author: Su Xiao Nuan,苏小暖 already has 11297 views. Current Time is Apr-21-2019 02:23:55 AM.